It is officially prom season and that means every girl out there is looking for the perfect dress. Boys just don't understand how much time and money goes into prom, they just have to throw on their tux, tie and shoes and there they go! But what exactly goes on with the girls? They have to buy a pretty dress, one that no other girl has in their grade, get shoes, have their make up done, then their hair, AND the nails (BOTH manicure and pedicure), all while making sure they've spent weeks if not months getting that prom perfect body at the gym. That sounds like a whole lot of work to go to a dance that lasts 4 hours. The whole fiasco starts with the dress. Here are some of the most popular prom dress trends. 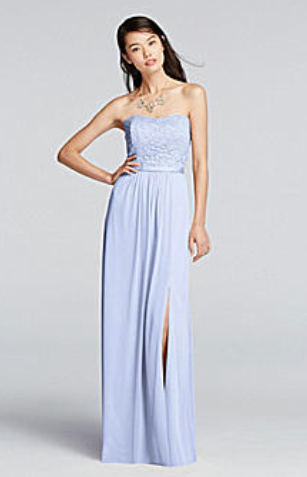 1. slits: Slits have been such a huge trend in the prom dress world. They are a way to show a more scandalous, but subtle trend in dresses. 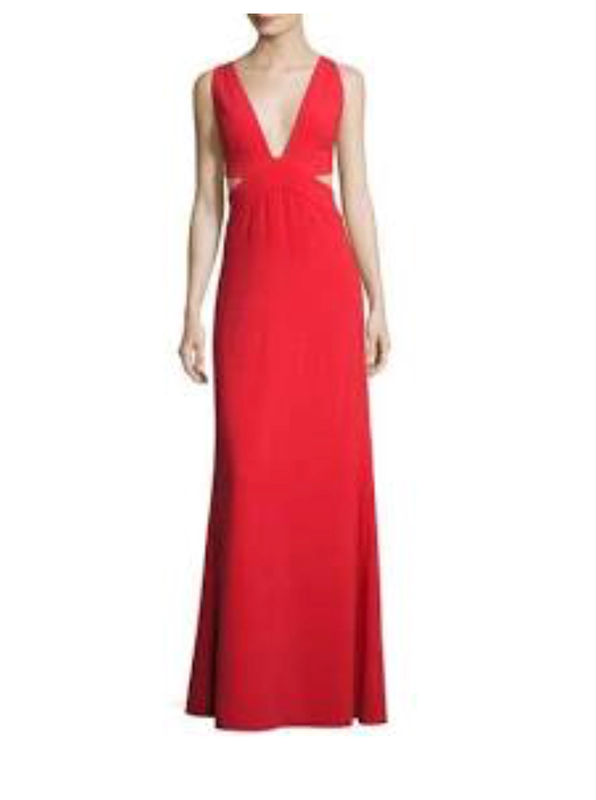 When deciding which prom dress I wanted, I took into consideration if I wanted a slit in mine because they are so commonly seen in the dress stores. 2. Ball gown vs fitted gown: There’s always a decision that a person has to make involving the fit of the dress. A big component, and step to eliminating a lot of the choices online, is whether or not they want to wear a ball gown or a fitted gown. There are so many different styles in either category, that it really only matters which the person will feel the most confident in. 3. Two Pieces: Two Pieces have been a big trend in the dress world, but I think it’s risky going with a two piece. The reason why I️ think it’s risky is because a large amount of the persons stomach is revealed in the two piece. This person has to have a lot of confidence in their appearance to be able to feel comfortable showing that. For me personally, I would feel self conscious in the dress, which would add unnecessary stress to prom. 4. Cut outs: Cut outs are a major trend in dresses for this season. Many of the people in my grade are wearing cut out dress this year because my prom is more of a simple-dress prom. Cut outs are an awesome way to show off just enough of a certain area, but not going overboard. So, if you are thinking about wearing a dress that subtly accents something, then cut outs are the way to go! 5. Open Back: I included an open back in my dress, which is something that I was searching for in my dress. It's one of my favorite things in a dress because I think it looks so good and something that you can't wear that much. Because an open back is tricky with what undergarment to wear, I almost never wear dresses with open backs, but I lucked out on that!